Updated bi-level on Heritage Lake in Mackinaw where you’ll find peaceful privacy in the surrounding nature, a lake for fishing & recreation, and a lodge & pool just for homeowners and their guests with 4 beds and 2 full baths! Prime location with desirable layout. The spacious upper level is open (all appliances stay) with 2 bedrooms and sizable full bath. Step out onto the back deck and enjoy scenic views of the large backyard with mature trees and storage shed. Lower level houses an additional, generous-sized, living room with the remaining bedrooms and full bath. 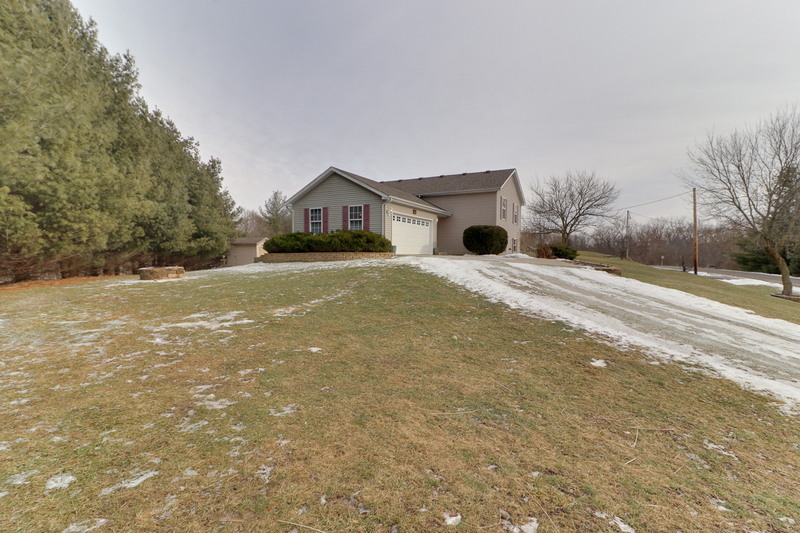 Further features include the attached 2 car garage, massive side-yard, and beautiful landscaping. You must see in person in order to appreciate all this home has to offer! Fill out our quick contact form below to request a showing! Enjoy the pictures. If you’d like to see other homes we currently have for sale, click here! If you’d like a private showing, please fill out this quick form!